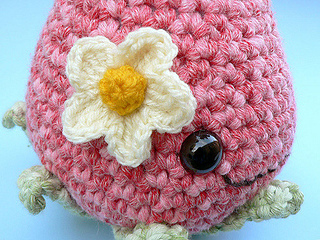 Missy Strawberry is a cuddly soft toy that is sure to brighten up any girl’s heart. On the bed, sofa, car or even next to the computer, she will make you smile whenever you look at her pretty smile. 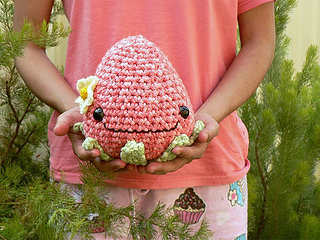 A cuddle a day will brighten your day. 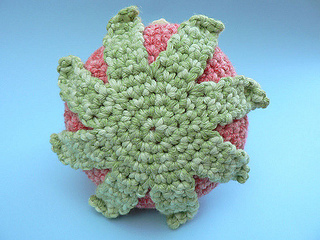 PLUS, super bulky weight yarn and a large hook ensures that your strawberry is crocheted up quickly. You won’t have to wait long to snuggle in bed with Missy.